The son of the Turkish Ambassador to the United States, Ahmet Ertegun could have been an affluent diplomat like his father. Instead, he followed his early passion for Jazz to establish Atlantic Records, becoming the label’s CEO and, ultimately, one of the most significant figures in the course of twentieth-century music. Ertegun’s legendary life and times are recounted and discussed on a fascinating new DVD, Atlantic Records: The House That Ahmet Built. This remarkable documentary traces Ertegun’s biography, from his birth on July 31, 1923, in Turkey to his death on December 14, 2006, in New York City. Founded in 1947, Atlantic Records began as a modest Jazz-orientated record label and progressively grew to encompass Soul, Rhythm & Blues, and Rock & Roll. Among the artists and bands that Ertegun signed to the label include Ruth Brown, Ray Charles, Aretha Franklin, Bobby Darin, Cream, Led Zeppelin, and the Rolling Stones. Bette Midler, also a former Atlantic recording artist, narrates the documentary, but most of the commentary comes straight from Ertegun, either in clips of him reflecting alone or reminiscing with many of the musicians he had worked and socialized with throughout his life. Seeing him casually trading anecdotes with Mick Jagger, Aretha Franklin, Eric Clapton, and Ray Charles, among others, is indeed a treat. What comes across most in this documentary is how much Ahmet Ertegun was a genuine fan of music. In turn, the musicians featured herein hold the man in high regard not just as a business executive but, moreover, as a friend. 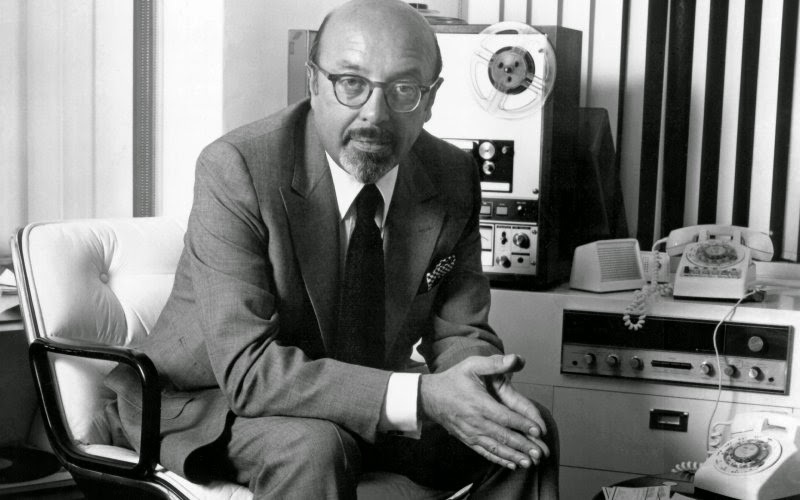 While Atlantic Records: The House That Ahmet Built pays tribute to the life of Ahmet Ertegun, in doing so it also honors some of the twentieth century’s greatest music. Thus, for music scholars and fans alike, this documentary will have you reaching for your record collection in search of a soulful groove.